Hicks made a brief court appearance on Wednesday morning, saying he understood the charges, according to the Associated Press. His probable cause hearing was set for March 4 and he is being held without bond. 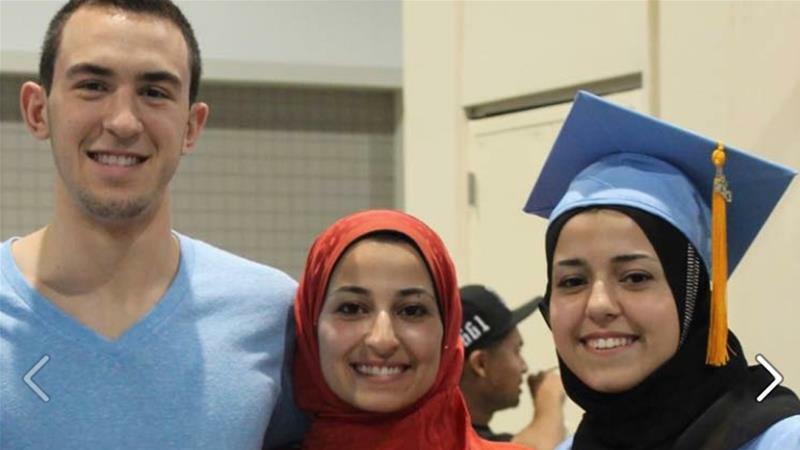 A local TV station in North Carolina quoted the father of the slain women, Mohammed Abu-Salha, as saying that his daughter had told him several times that they had a neighbour who was “hateful”. His daughter also reported that the man had a gun in his waistband more than once.